Patriot offers an efficient 2.0L DOHC 16V 158-hp four-cylinder engine capable of delivering a powerful 141 lb-ft of torque. Matched to a five-speed manual 2WD transaxle or the available new six-speed automatic transmission, it comes with a convenient automatic oil change monitoring system. Freedom Drive I™ This system provides you with active, full-time 4WD capability with Brake Traction Control and selectable LOCK mode. Freedom Drive I™ features an Electronically Controlled Coupling (ECC) that monitors wheel slippage and transfers torque to the axle that can use it most. In tough conditions, it can be locked 50/50 front/rear for added low-speed capability and control. Confirming the Jeep® brand’s place as the leader in 4x4 innovation and off-road capability, the Trail Rated® badge signifies that any vehicle holding it has been tested to perform in five categories of off-road conditions including: traction, ground clearance, maneuverability, articulation and water fording. The available Hill Descent Control helps monitor throttle, speed and braking when you need it most, while the Hill Start Assist keeps brakes applied for a short time after you’ve removed your foot from the brake, to give you time to accelerate. Patriot also boasts a four-wheel independent suspension with MacPherson strut front and multilink rear suspension for exceptional handling. From city street to off-road trail, Patriot has the wheels you want, with both on- and off-road performance. 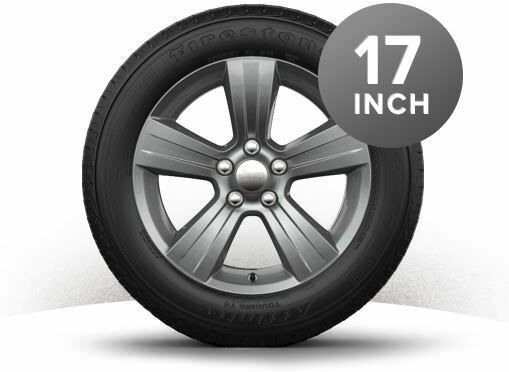 A tire pressure monitoring display system is also available (a warning system is standard) along with a full-size spare tire with the Trailer Tow Prep Group or the Freedom Drive II® Off-Road Group. 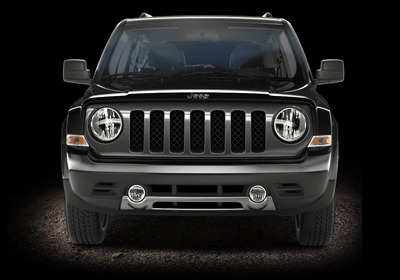 Balancing all-weather strength, Jeep® brand capability and iconic good looks, Patriot boasts details including the famous Jeep Seven-Slot Grille, trapezoidal wheel well openings, fog lamps, available adjustable crossbars, available power-heated folding mirrors, available two-piece front and rear fascia overlays and more. More than aggressively styled, it’s also dynamically designed and ready to go, no matter where you go. Patriot features a spacious interior with soft-touch points for added comfort. Handsome chrome accents along with an available and stylish hand-stitched, leather-wrapped steering wheel, demonstrate the vehicle's renowned workmanship. Patriot features a spacious interior with soft-touch points for added comfort, available heated front seats to beat the chill, fold-flat passenger seats, plus handsome chrome accents and your choice of luxurious leather trim or premium cloth upholstery with superior detailing and workmanship. Patriot also features two available powerful flip-down liftgate speakers (included with the Premium Sound Group or the Sun and Sound Group) that let you take your music outdoors. When the rear hatch is open, the speaker unit can swing down to project music for the surrounding outside world to hear. You can also choose between a standard 4-speaker audio system, or an available 368-watt, 9-speaker Boston Acoustics® Premium Sound System with subwoofer. Patriot offers an available power sunroof that easily opens with an express open/close feature, and a sunshade that keeps you cool during those hot days of summer. This Uconnect® System is available on Patriot Limited models and comes with many features. When you’re headed for adventure and destinations unknown, you’ll always have room for your toys. By lowering the 60/40 split-folding reclining rear seats, the cabin of the Patriot opens up to give you a roomy 54.2 cubic feet of cargo volume. Patriot comes equipped with six airbags+ including new standard supplemental front seat-mounted side airbags to ensure your Safety & Security. Additionally, crush zones in the front of your vehicle and side guard door beams that have been integrated into the design, help absorb excess energy and decrease transfer of that energy to its occupants. Electronic Stability Control senses when you begin to over-steer or under-steer, then applies individual brakes and controls your throttle, as needed, to help put you back on track. An Antilock 4-Wheel Disc Brake System (ABS) also offers improved vehicle control and can decrease stopping distances on both dry and slippery surfaces. You'll also have the added Safety & Security of a Brake Assist System, which applies maximum braking power during panic braking, and Electronic Roll Mitigation which uses innovative motion sensors that determine when a rollover may occur and applies braking force to the correct wheel or wheels to reduce the likelihood of such an accident.. Bundle great security features and conveniences together with the available Security and Cargo Convenience Group and you’ll enjoy: adjustable roof rail crossbars, security alarm, soft tonneau cover, tire pressure monitoring display and Homelink® Universal Transceiver garage door opener and other key features, depending on model chosen.